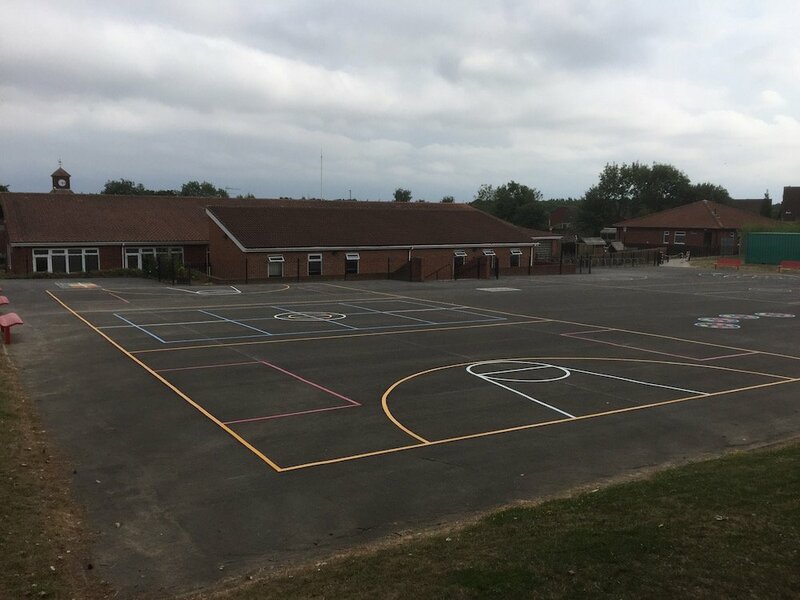 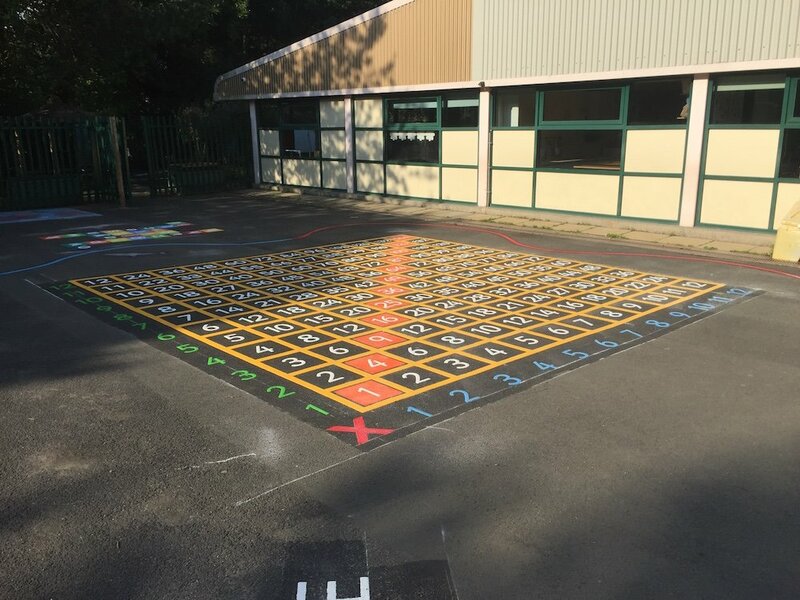 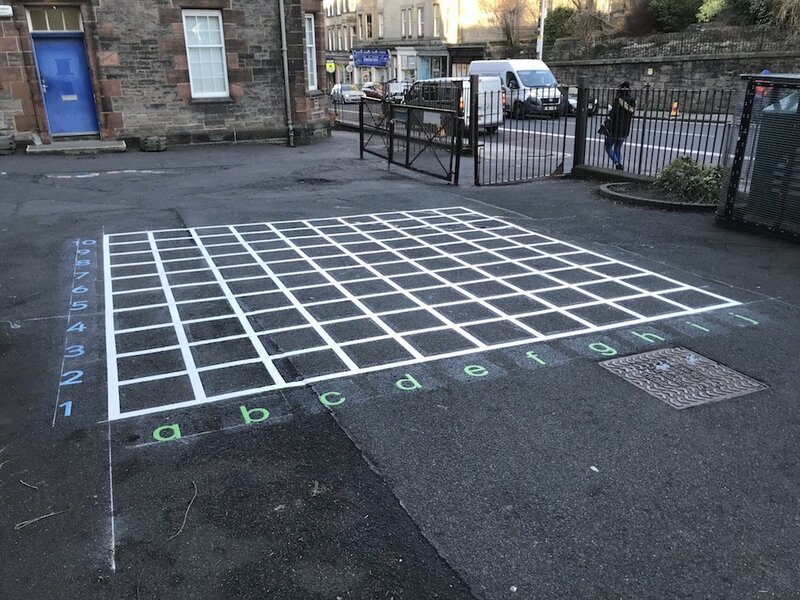 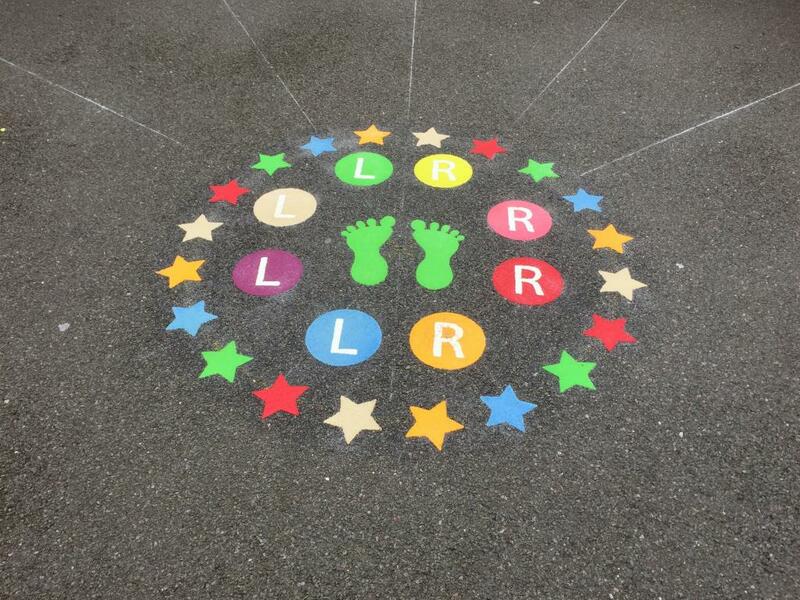 We were instructed to carry out the installation of thermoplastic playground markings at Saint Cuthbert’s Primary School in Cambridge. 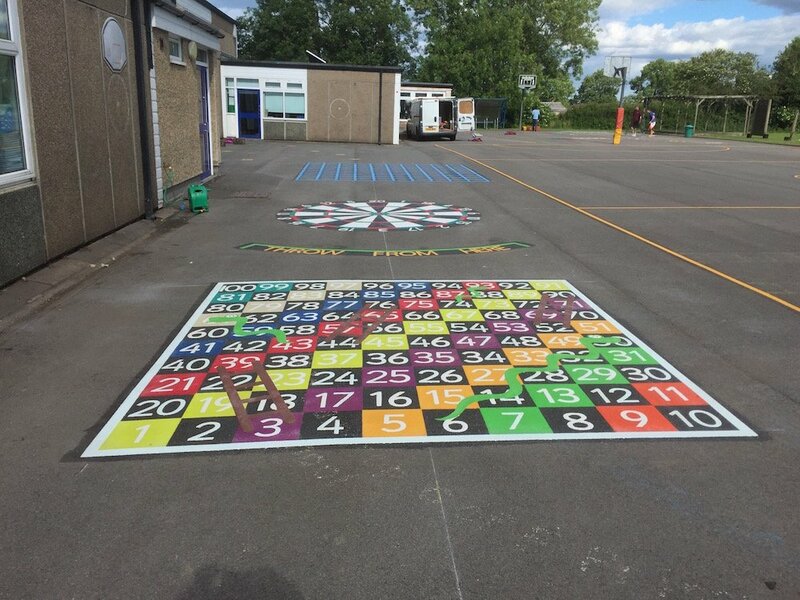 The markings included a Target Dartboard, a Bullseye Target, an a-z Spiral, a 1-25 Spiral and a 1-00 Snakes and Ladders playground game. 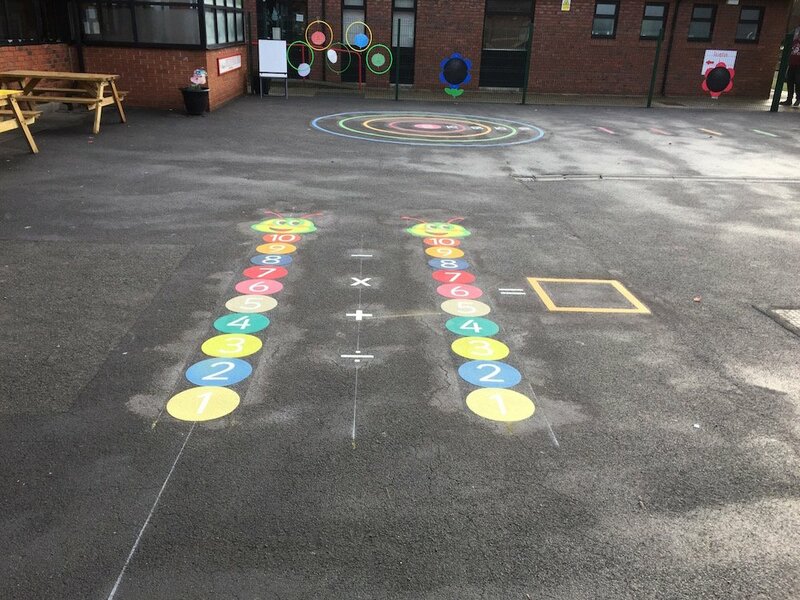 In one corner of the play area we install a scale plan of a house showing the downstairs with a kitchen and a living room, and an upstairs with two bedrooms and a bathroom. 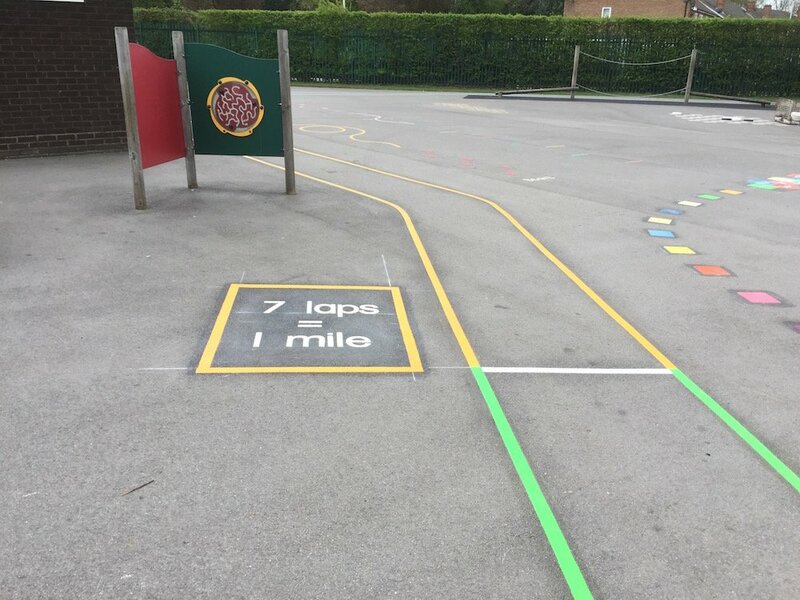 Around all the markings we installed a cycle track so the children could safely play with their bikes. 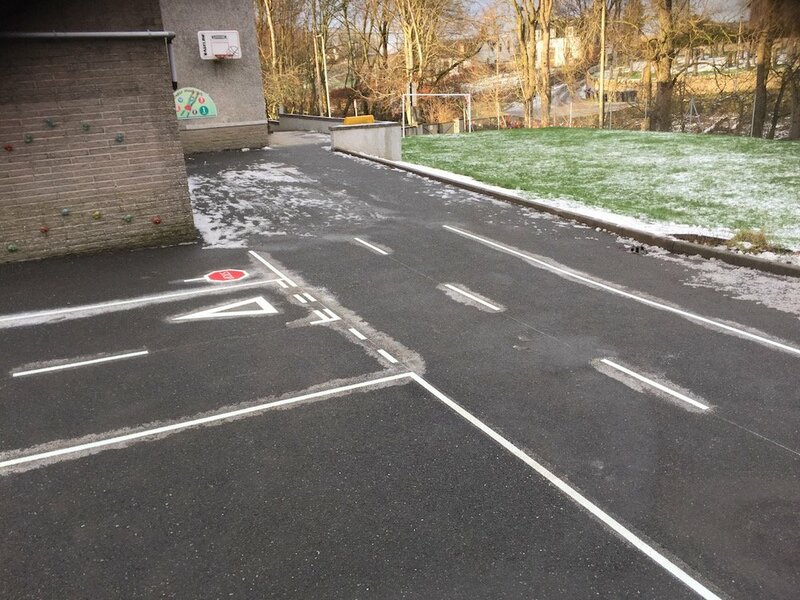 We included two zebra crossings so the children could cross the cycle track.